Seven miles south of Yuma AZ in Mexico is the phenomenal town of Los Algodones (The Cotton). Once a sleepy agricultural hamlet-now possibly one of the fastest growing dental centers and tourist destinations in the World. Los Algodones is a colorful little town filled with over 350 dentists, Pharmacies, restaurants, liquor stores, curio shops, and a few places to enjoy a really good margarita. On an average January day over 33,000 tourists walk across its international border. Demand for competent reasonably priced dentists! Los Algodones, Baja California has more square feet of dental offices than any other place in Mexico - probably the world. Over a 10 year period the number of dentists has grown from single digits to triple digits. There are over 350 dentists practicing in Los Algodones today, and all within ten minutes walking distance from the border. It happened in Algodones because low cost, high quality and efficiency came together. Dental services in Algodones cost is about 70% to 75% less than in the United Sates. The small town of Los Algodones (al-go-dough-ness) is located in the northern most part of Mexico bumping up between Phoenix and San Diego. The city of Yuma AZ is seven miles away. The logistics of everything involved in visiting an Algodones dentist makes the experience highly efficient. Los Algodones is easy to get to, just two exits from Yuma. Parking is easy to get to, A huge secure parking lot butted right up against the international border operated by the Quechan Indian Nation is available. Parking is $5. Every dentist is easy to get to. With a dentist at every door, almost, Any dentist in Algodones can be reached in less than ten minute walking from the border. Good directions make dentists easy to get to, With your appointment confirmation you receive directions from Yuma to your designated dentist's door. 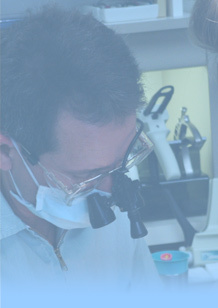 Dentists stand behind their work. Their existence in Los Algodones depends completely upon foreign patients. “Word of mouth,” is the backbone of individual success.